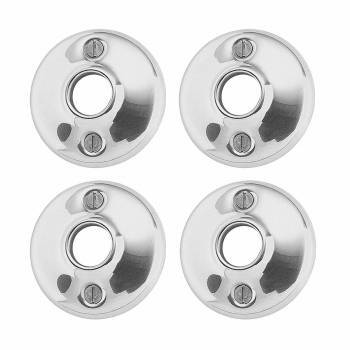 Door Rose Pair Colonial Chrome 2 1/2 in. dia. (4) pieces Door Rose. 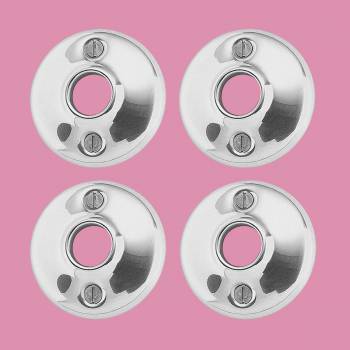 Passage Doorknob Roses: These bright chrome door roses have a 2 1/2 in. outer diameter and a 5/8 inch inner diameter. These door roses work with our dummy spindle (20152). Sold in pairs, screws included.